"I swear I didn't put her there!" 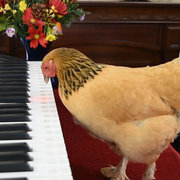 One day in March, a chicken crossed a busy road to get to a shopping center and followed a couple into Petco — seriously. 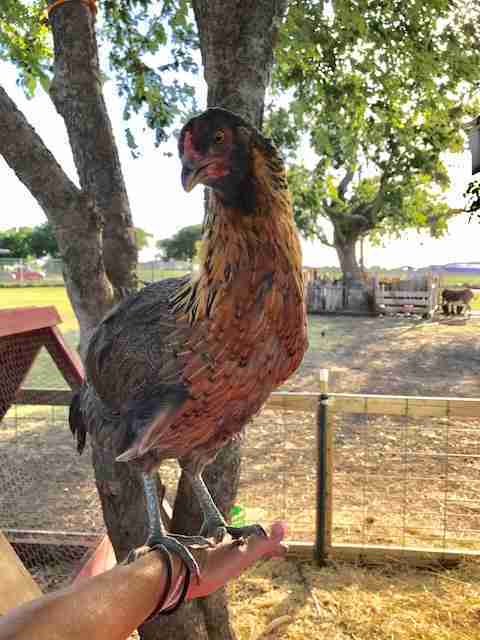 No one knows exactly where this chicken came from, but the staff at Petco called Sue Chapman, the founder of Becky's Hope Horse Rescue in Frisco, Texas, who, of course, rushed to pick up the meandering animal. 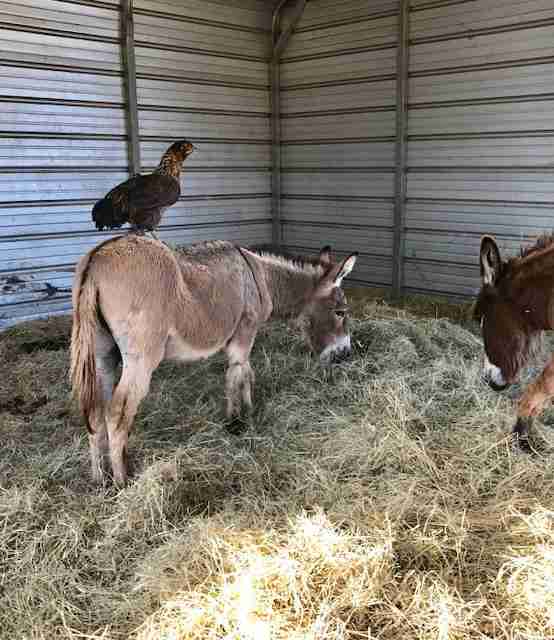 Ever since, Dora (named for the explorer) has been part of the rescued family at Becky’s Hope, which includes an old horse who rescued himself from a ‘kill pen,' as well as a number of rescued donkeys. "She was a baby when we found her and has tripled in size since,” Missy Smith, a volunteer with the rescue, told The Dodo. And Dora’s heart has grown as well. 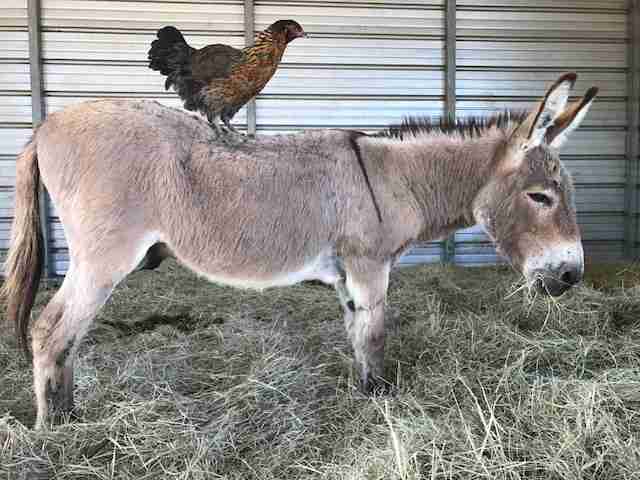 Recently, her rescuers have noticed that she loves being close to her friends — so close that she can stand on them. "I was cleaning the chicken coop and was reaching for something and she jumped on my arm for some attention,” Smith said. 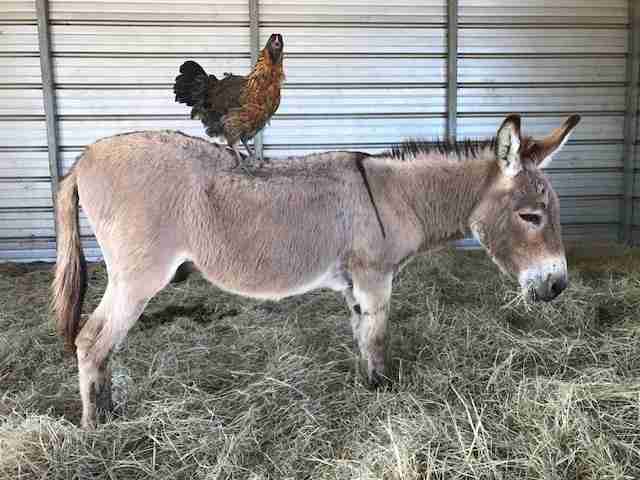 "Then a bit later I turn around and see her on Deacon [the donkey]. I swear I didn't put her there!" 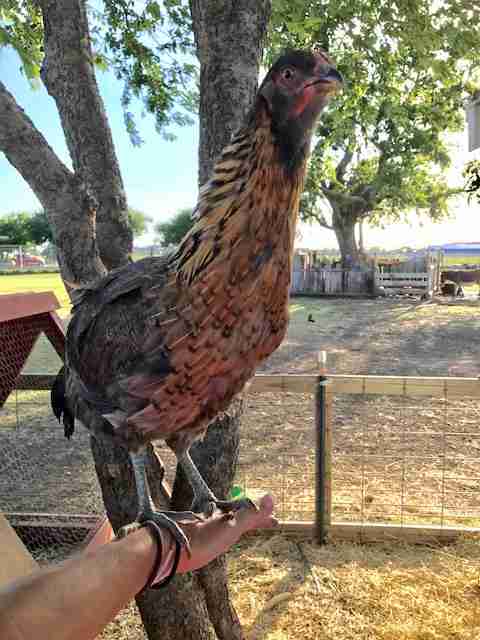 Dora, the adventurous bird, is even friendlier than the other chickens that the people at Becky’s Hope hand-raised from chickhood. It's clear that Dora is just the sort of chick who stands by her friends — or on them. 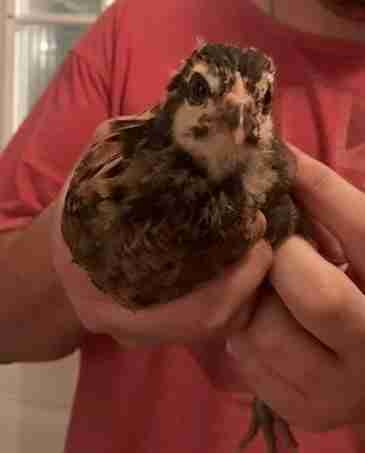 To help the rescued menagerie at Becky’s Hope, you can make a donation.